Rodrigo “Comprido” Medeiros was born on October 1st, 1977, in Rio de Janeiro, Brazil. Growing up in Rio during this period and in this place meant that Comprido (nickname, means ‘long’ or ‘lanky’ in portuguese) grew up during the golden age of and in the capital of BJJ. Some of his neighbors and best friends would themselves grow up to be BJJ champions and legends. BJJ was growing exponentially during this time, and some of its greatest champions came from this area and era. When he was about 9 years old, Comprido tried out BJJ for a couple of months at a gym on his block where his best friend Leonardo Vieira trained. It didn’t take at the time as he didn’t enjoy it very much, so he tried his hand at Tae Kwon Do and kickboxing and trained in these for several years. He even successfully competed in Tae Kwon Do and as a kick boxer. It wouldn’t be until he was 16, when his cousin Mauricio talked him into to go to BJJ class with him so he might have a training partner, that Comprido got back on the mats. Within two months Comprido decided to quit everything else and focus on BJJ. 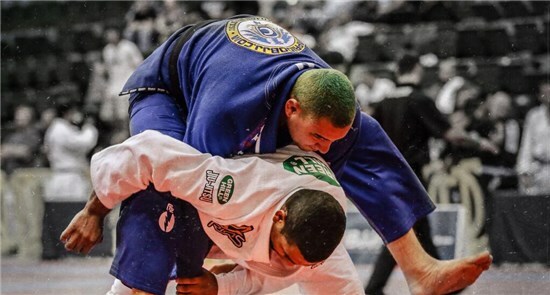 By the age of 17, as a blue belt, Comprido began to compete in BJJ tournaments. His first year competing in BJJ was, in his own words, “disastrous.” He lost at all of the tournaments except for the last two, in which he placed first (the first at juvenile and the second at adult). At this time Comprido was training at Romero “Jacare” Cavalcanti’s Master Academy in Rio with Leo Viera. Yet, like many during this time, as he progressed Comprido also enjoyed training with friends at other academies (e.g. at Strike Academy with Roberto Traven, and academies in San Paulo and Vitoria). It was during this era that Alliance team began to flourish. In 1996, Comprido won gold at the Worlds in his division as a blue belt (second in the Absolute). Later, when Comprido was a purple belt, Jacare moved to the United States and left the Master Academy in the hands of Fernando “Magrão” Gurgel, Comprido’s primary coach. With the support and training of Magrão, Comprido’s BJJ really blossomed. Comprido’s style in many ways mirrors Magrão’s in terms of an intelligent, strategic game, playing to and maximizing strengths, avoiding compromising positions and situations. Magrão is also tall and thin, one could say lanky, much like “Comprido.” Comprido also trained in Judo with the Brazilian Olympic Judo team and obtained a University degree in Physical Education. As a purple belt, Comprido began to instruct at Master Academy. 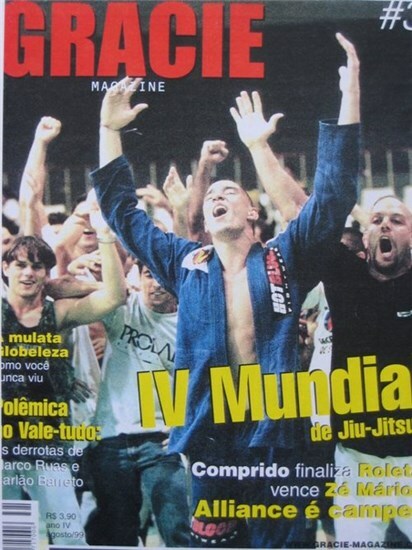 A year later, 1998, as a brown belt, Comprido became a Worlds champion again. Shortly thereafter , in 1999, Comprido was awarded his black belt. As a black belt he was given his own class to instruct at the Masters Academy, and, given Jacare being in the U.S. and Magrão’s busy work schedule, was eventually offered the opportunity to become head instructor at Master Academy. black belt by submission, the fastest recorded submission in Worlds’ history at black belt, and by winning the Absolute in his first year as a black belt. In 2000, Comprido repeated as black belt Absolute champion, beating Nino Shembri, a match Comprido to this day considers his greatest given the skill of his opponent. For the next couple of years things were going quite well with Alliance. Despite some minor disagreements between the black belts, training was going well and the team was dominating the tournament scene. But in 2002 a new federation formed, the CBJJO, which was, at the time, in competition with the established IBJJF. CBJJO offerred monetary awards to its winning competitors. After a split decision among the heads of Alliance with respect to whether or not to enter CBJJO tournaments, Fabio Gurgel made a command decision against it. The rest of the team heads were happy to go along with Fabio’s strong feelings in this matter as, after all, CBJJO had scheduled its upcoming tournament on the same day as an IBJJF tournament. However, CBJJO deliberately changed its scheduled tournament date so as not to conflict with the IBJJF tournament, allowing competitors to compete in both if desired. While this accommodation satisfied many of the team heads, Fabio, for his own reasons, remained unrelentingly against team members to competing at CBJJO tournaments. 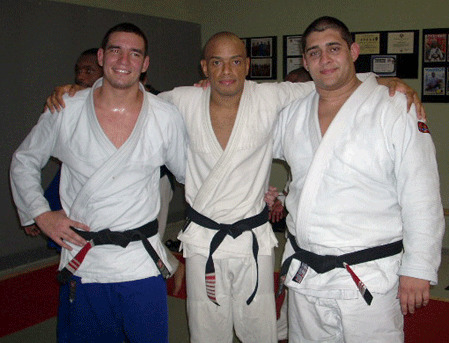 Seeing that Fabio was not the sole head or emperor of Alliance and that the original decision was split, Comprido and many of the other team leaders (including Terere, Damien Maia, Leo Viera, Eduardo Telles, Eduardo Jamelão, and Renaldo Jacare Souza) decided to compete at both, taking first place at the CBJJO tournament and second at the IBJJF. Fabio did not take this “uprising” well. Leading up to the tournaments and at the tournaments themselves, he pressured and made life difficult for the competitors. After the tournaments, he continued to agitate, and was trying to find ways to “punish” the other team heads for their supposed defiance. With the 2002 Worlds coming closer, Fabio declared that, as punishment, Comprido’s students would not be allowed to compete at the Worlds. Again, this was a decision that was not Fabio’s to make as he had shared, not sole, authority over the team. Comprido and his students decided to train and prepare to compete at the Worlds despite it. Even though Maia and Terere had closed out the Absolute bracket at the CBJJO tournament, to their amazement, however, the team found that some of them, having already registered for the Worlds in their divisions and in the Absolute division, had had their names removed from the Absolute division. Fabio and Alexandre Paiva had convinced IBJJF officials to remove their names. involved at the time. Yet, still wanting to show respect to Jacare, Comprido and the others who left continued to compete under the team name “Master”, the name of Jacare’s first academy. This led to some confusion at the tournaments, however, as many saw no difference appreciable between “Master” team and Alliance. 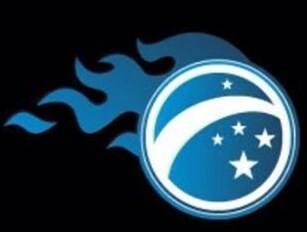 It was at this time that Comprido and the others who left Alliance decided to form Brasa Clube de Jiu-Jitsu (http://brasateam.com). Felipe Costa came up with the name “Brasa,” derived from the ember-like color of the Brazilwood or Pau-Brazil tree (fromwhich the name “Brazil” itself is derived (See http://en.wikipedia.org/wiki/ Caesalpinia_echinata). Brasa team itself thrived for several years after it formation. With many elite competitors it won several tournaments and was holding successful camps. 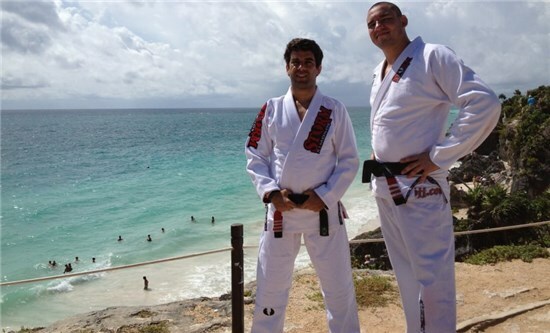 Comprido and Felipe put together the Brazilian Black Belt Camp, which in its first year was a great success. After a while, however, some friction arose among the team leaders as to how the Camp and Team was to be organized and run. Leo Castello Branco was elected president of Brasa, but there remained some division among the leadership and things were not getting done. Though offered support to become the next president, Leo Viera decided rather to leave and form Check Mat. Shortly thereafter Andre Galvão left to form Atos. Terere and Telles departed together to form TT Team in 2003. Each seeking to find their own formula for team success. The remaining members of the leadership counsel of Brasa pressed on and the team remains and continues to be successful to this day. While he was still in Brazil, Comprido, Felipe and Michelle Mata also taught at a school for the blind in Urca, a neighborhood in Rio de Janeiro. This went very well for a few years until the government rearranged the school, effectively destroying the BJJ program at the school. Tensions again arose between Ricardo Viera and Comprido as to the management of the Brasa academy in Rio, and Comprido began to set his sights overseas. In 2006 Comprido had the opportunity to come to the U.S. and partner at an academy in Illinois. From this base he began to train several UFC fighters including Mike Russo and Brock Lesnar. It was Brock Lesnar who convinced Comprido that he should open his own academy, and with Brock’s help Comprido opened the doors of CompridoBJJ Academy in Bloomindale, Il. 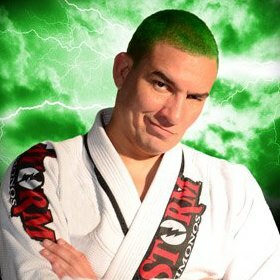 in 2011 (compridobjj.com). With all of the responsibilities that come with training at the academy, training fighters, and having little time left to himself to train effectively, Comprido retired from competing as an adult at the Worlds in 2009, though he continues to compete and dominate in the Master’s divisions, most recently taking gold in his division at the 2012 Pan Am Master Championship and at the 2012 Worlds No Gi tournament. Under his leadership, Brasa team has won six consecutive IBJJF opens in Chicago and several of his american students have gone on to medal at the Pan Ams and Worlds Gi and No Gi tournaments. His favorite student is one he calls the “Sinister Minister.” Comprido also keeps a hectic travel schedule, giving seminars to Brasa team students and academies around the world.